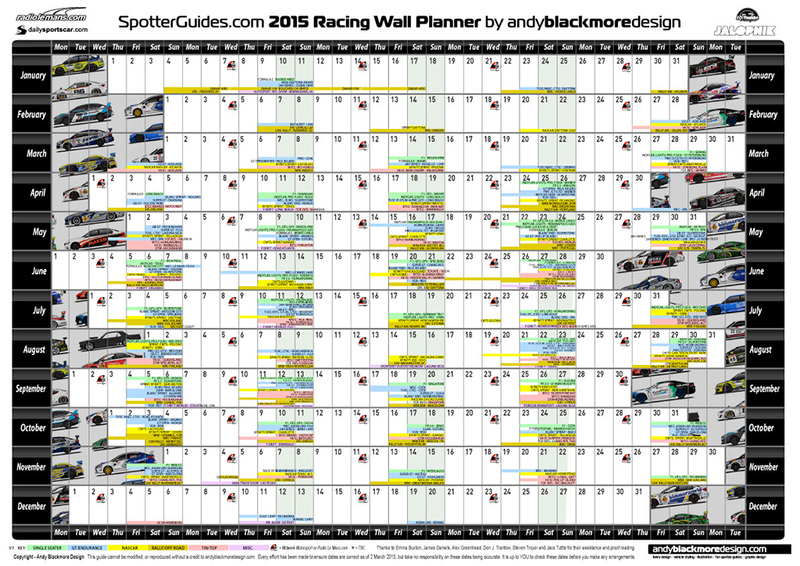 The 2015 Edition of theSpotterGuides Racing Wall Planner is now available to download and features most International and many national series in 2015. 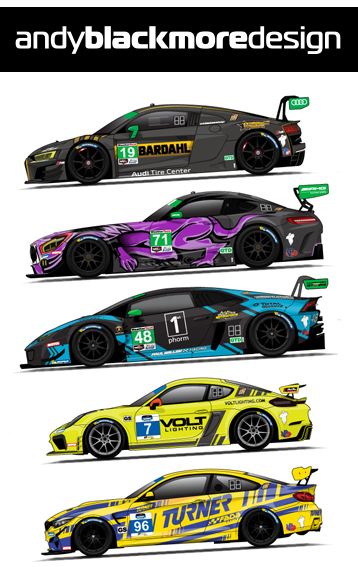 Sorry for the delay in releasing this, but I have been very busy with racecar livery design and this side project had to go on the back-burner for a while. Many of these designs feature on the guide. The guide is available as a PDF which allows you to download and print at any size. I would recommend 11×17/ A3 as there is so much info, anything smaller is hard to read! Don’t forget to visit Andy Blackmore Design website for all the latest racecar liveries. Thank you to Emma Buxton, James Daniels, Alex Greenhead, Don J. Trantow, Steven Troyer and Jace Tuttle for their assistance and proof reading.